Obituary for Joseph Marcel Raymond Laviolette | D. J. Robb Funeral Home & Cremation Centre Ltd.
At his residence on Monday April 1, 2019, JOSEPH MARCEL RAYMOND LAVIOLETTE age 55 of Sarnia. 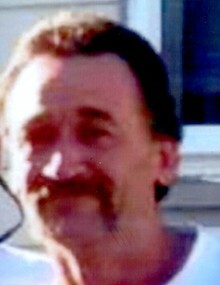 Cherished son of Laurette “Loretta” (Desjardins) and the late Raymond Bernard Laviolette (2011). Loving father of Chantal and her husband Jason and adoring grandfather of Koby and Marcus. Loving brother of Bridget Smiley and her husband Paul, Carole Abraham and Rick Laviolette and his wife Shari. Dear uncle to several nieces, nephews, great-nieces and great-nephews. Predeceased by his brother Michael. Ray was well known in the community for his painting and loved to be a prankster. Resting at the D. J. ROBB FUNERAL HOME & CREMATION CENTRE where the family will receive friends on Friday April 5th from the hours of 2 to 4 and 7 to 9 p.m. A Mass of Christian Burial will be held at St. Joseph’s Roman Catholic Church on Saturday April 6th at 2:00 p.m. Cremation will follow with interment of ashes at Our Lady of Mercy Cemetery. Sympathy may be expressed through memorial donations to Brentwood Recovery Home (2335 Dougall Ave., Windsor, ON N8X 1S9).